Since Goose started walking, I’ve been worried about her running away in parking lots. I constantly keep a hand on her, but I’ve found that she still thinks parking lots are playgrounds. I’ve started making her touch the car, and pretend that the car is a magnet that keeps her hand stuck until we get the door open (thanks Sarah for the tip). One other thing we have been using is the Parking Pal. 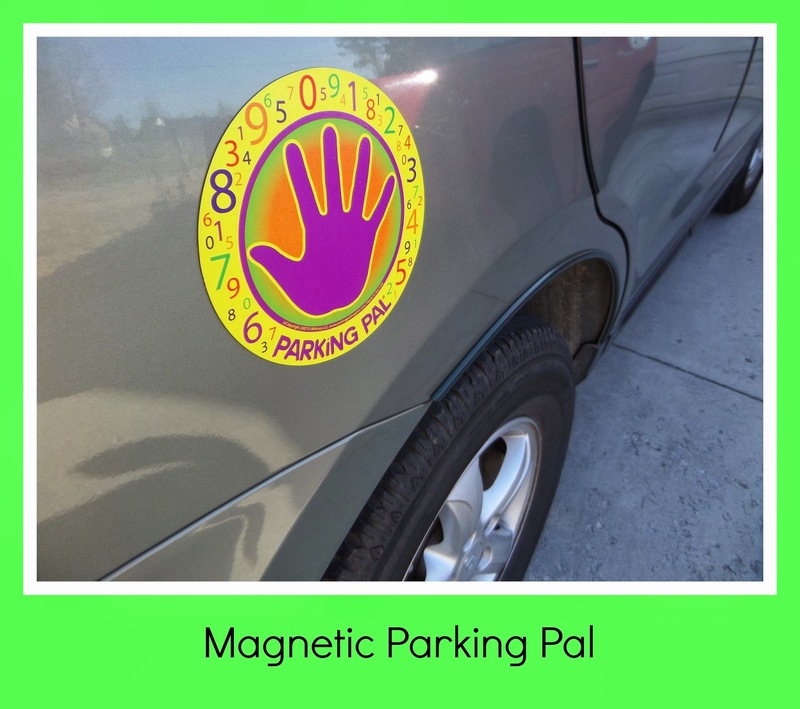 The Parking Pal is a car magnet that you place on the side of your car where ever you want your child to stand while you get his/her car door open and car seat ready. They place their hand on the hand print and children can learn that this is the spot near the car that is safe for them. I still keep a hand on Goose while using this, but I am more confident that she will be safe since she is paying more attention to the magnet than anything else going on in the parking lot. 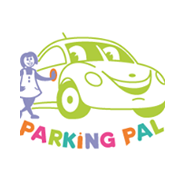 Parking Pal also makes the Penalty Pal. 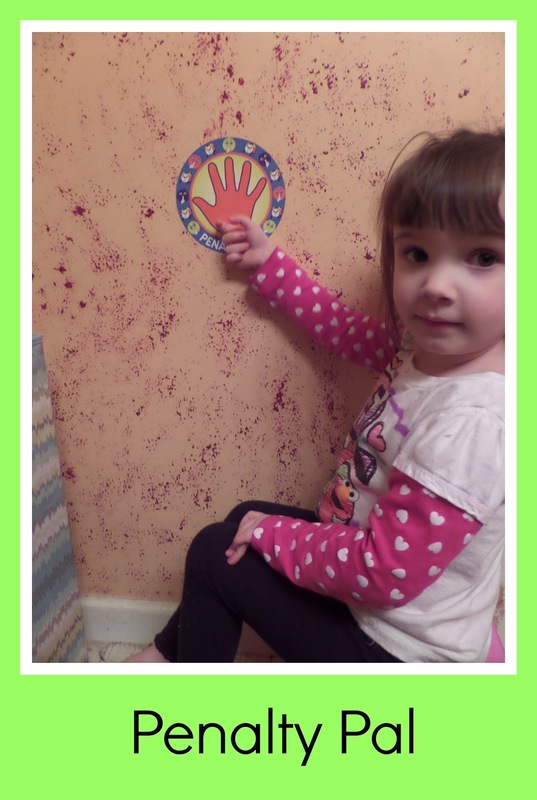 These are removable stickers that can be placed almost ANYWHERE. The Penalty Pal was designed to help children learn where to go when they are in need of a “time out”. The graphics start out with a frowny face clock and progress to a happy face clock, helping children realize that they need to stay in their spot until they can be happy. I really like these because I can remove them without wrecking my wall and place the sticker somewhere else. 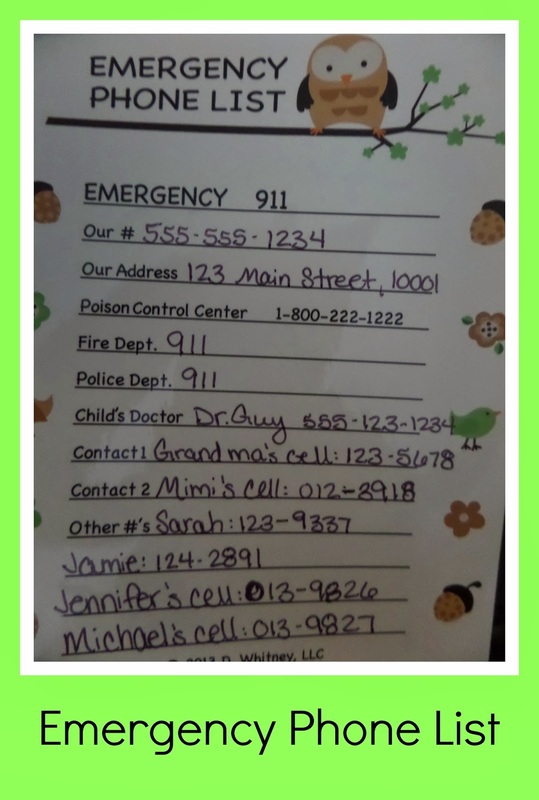 Another removable adhesive sticker Parking Pal has is their Emergency Contact List. These are great! You just write on them with a fine point permanent marker, pill off the back and stick it where ever you need it. These are awesome because if a phone number changes or you just want to change something, you just use a little alcohol and wipe it clean. Then you can write the information you need on there. If you would like to connect with Parking Pal, they are on the following social networks. You can also find them on their website http://www.parkingpalmagnet.com/ and Amazon.